#GivingTuesday is November 27th, and we need you to help us make a big impact! Please join us in #GivingTeal, for the 22,000 American women diagnosed with ovarian cancer every year, and the 200,000 living with this disease. Here’s how you can help. On November 27th, Facebook will match donations up to $7 million. That means when you and your friends give to OCRA, your gifts will be doubled – and have 2X the impact. Don’t miss this chance to do twice the good with one donation! Donate to our limited-time #GivingTuesday Facebook fundraiser here. After you donate, share with friends and ask them to give. Remind them why this is a cause that’s important to you. Don’t want to wait until November 27th to donate? Don’t worry, you can get started now! The match doesn’t kick in until November 27th but your gift will still make a big difference. Want to personalize your fundraiser? Great! You can create your fundraiser here. Feel free to download our #GivingTeal Facebook fundraiser covers below (just right click and Save As) or use your own. Then write your own description, about why ovarian cancer is a meaningful cause for you. Need a writing prompt? Here’s some copy to get you started. Show your friends you support women with ovarian cancer by adding our frame. Just go to your profile picture and click “Update.” Then click “Add Frame” and search for “ocrahope”. Then click “Use as profile picture.” You’re all set! Did you know you can attach a Donate button to any regular post on Facebook? If you don’t want to share or create a whole fundraiser, it’s an easy way to ask friends to give. Just start a post like normal, then click the three dots along the bottom of the text field and choose “Support Nonprofit.” Search for “ocrahope” and publish. Now you’re fundraising! Make a secure online donation at ocrahope.org/donate. 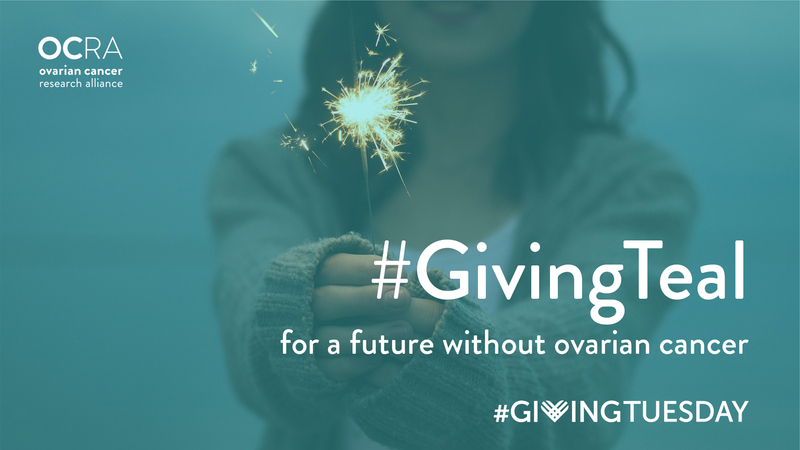 You can give in honor or in memory of a loved one, and if you have their email address, we’ll instantly send them the #GivingTeal e-card of your choice, notifying them of your generous gift. Or, enter their mailing address and we’ll send them a notification letter. Put on your best teal, the color of ovarian cancer awareness, and snap a photo. 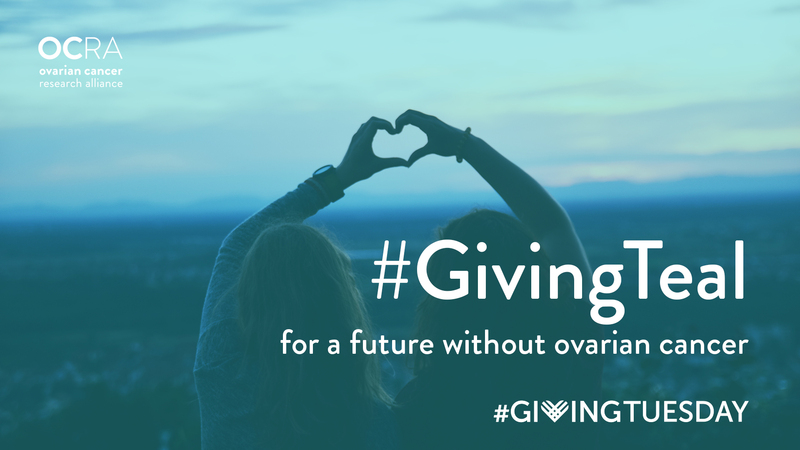 Post to social media and tag #GivingTeal. If we see it, we may share with our community! 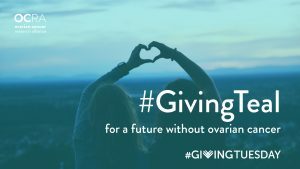 Every donation helps OCRA defeat ovarian cancer by funding cures, advocating for and supporting women fighting ovarian cancer. Thank you for joining us in the fight.